The UltraShape® System is the first and only FDA-cleared, non-invasive body shaping device that uses pulsed, focused ultrasound to mechanically (non-thermally) and selectively destroy fat cells at a designated focal point in the subcutaneous fat tissue without harming the skin, blood vessels, nerves or connective tissue. Fast. Painless. No Down Time. 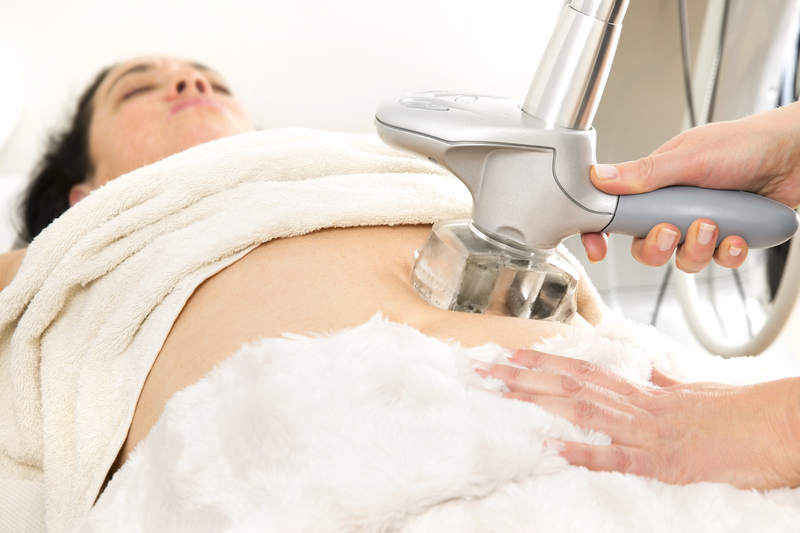 Unlike other fat reduction procedures that use heat or freeze fat, which can be painful and leave unwanted marks on the skin, UltraShape® Power is virtually painless and leaves no visible signs of treatment. Unlike liposuction, UltraShape® Power is non-surgical, which means no incisions, anesthetics, or recovery time. UltraShape® Power is the strongest device on the market, destroying 10%+ more than competitors on the market. "I recently lost thirty pounds … but no matter how much I worked out, I still had that unattractive muffin top! UltraShape worked absolute miracles on my waistline and accomplished what all those crunches did not! I’m thrilled to say I lost an additional pants size, and can finally wear low-rise jeans. I also experienced the Venus Legacy Skin tightening on other problem areas, and the results have been terrific. Noelle is fabulous at what she does, and I highly recommend both treatments!" - A.H.
LifeScape Premier is one of the few owners of an UltraShape Power in the State of Arizona. Not only that, but our aesthetician, Noelle, is the National Trainer for UltraShape Power technology. UltraShape® is an FDA-cleared medical technology for fat reduction by mechanical disruption of fat cells. The addition of the UltraShape Power is the newest complement to LifeScape’s arsenal of vetted medical aesthetic technologies, and when used in tandem with other systems such as the Venus Legacy and professional grade skin care products, along with a balanced diet and exercise, the UltraShape Power has shown definitive results to both patients and doctors alike. LifeScape founder Dr. Susan Wilder readily shares her experiences with clients and patients and recommends the technology, when applicable, for visible fat reduction as part of an overall body shaping and contouring plan. Have you heard the latest buzz about the Ultrashape Power treatment? You can now safely remove fat from your abdomen, thighs and love handles. In as little as thirty minutes, you can start to say goodbye to that stubborn fat!